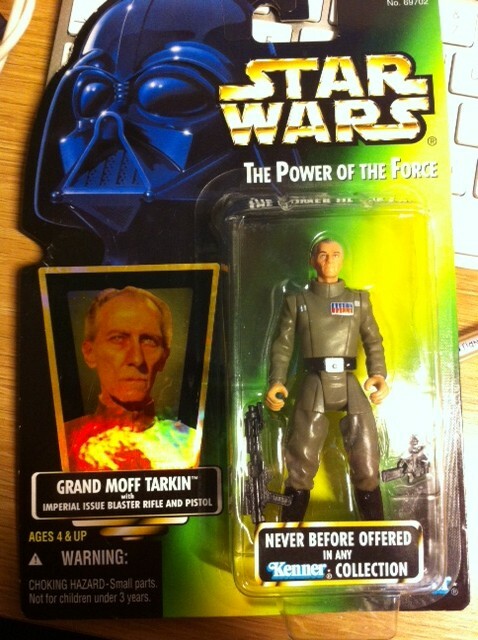 Dirk is pleased to add the mythical Moff Tarkin figure to the Hall of Fame. Believe it or not, it was the 1990s before this seminal figure made an appearance. Snaggle Tooth, Hammer Head and the Death Star Janitor-driod were all made into figures before they rendered the galaxy’s most dangerous bureaucrat into plastic. Now I have my very own. Thanks Dom-Dirk. Make a papier-mache Alderaan for him to destroy. Ah but does he have his slippers on?